In doing business, contracts are generally related to employing a worker, selling or buying goods and services, leasing a business premise or equipment. An offer in the law of contract means that one party promises to provide some form of benefit if the other party performs certain service or provides a given good. For example, when Mr. James promises to pay 200 USD to Mr. Goodman if Mr. Goodman will perform certain work to ensure Mr. James’ air condition is working there can be said to be an offer. It must be understood that an offer can be revoked or cancelled. For instance, Mr. James can say that he will no longer be able to or willing to pay the 200 USD and therefore Mr. Goodman should not work on his air condition. Another thing we must know about an offer is that it can be negotiated to create a counter-offer. Let say Mr. James wanted to buy a new house in the city of Lagos. Looking through some adverts placed in the local newspaper, the guardian he found what seemed to be a beautiful house in a nice neighborhood. This advert is in fact an offer by the homeowner to sell his house to anyone who may be willing to buy. This offer is just one of the many elements which make a contract valid. If Mr. James is serious about buying this house, he could in turn make a counter offer of 200,000 USD if Mr. Koomson originally priced his house at 250,000 USD. When an offeree (in our house purchase case, Mr. James), agrees to be mutually bound by the terms under which Mr. Koomson will be willing to give his house out in sale to another party, by giving something valuable such as money to make the transaction complete then we say there is an acceptance of the offer. Although in law one must be able to tell objectively whether Mr. James has accepted the offer made by Mr. Koomson, this acceptance can also be inferred from Mr Jame’s behaviour. Consideration basically refers to the benefit which is bargained for between the parties involved in the contract. Explained in another way consideration is the main reason the two parties are entering into the contract in the first place. In our previous example the consideration (benefit) to Mr. James is owning a house but to Mr. Koomson it is to be able to raise the amount of 200,000 USD to do whatever he wanted to do with this money. It is very important to note that what is outlawed or illegal cannot be taken as a consideration. For example, you cannot pay someone to breakdown another person’s apartment if breaking such an apartment is illegal according to the laws of the nation. A contract of such nature can therefore not be enforceable before a judge. Where a consideration (benefit) is found to be worth less than expected we say there is a “Failure of Consideration”. A contract may be therefore undone based on such a reason. When there is an understanding between the two parties entering into a contract we say there is mutuality in the contract. The principle of mutuality in contract states that both parties must be bound by the terms of the contract or neither of them should be bound. A lack of mutuality means that both parties do not have a common understanding of the terms of the contract. 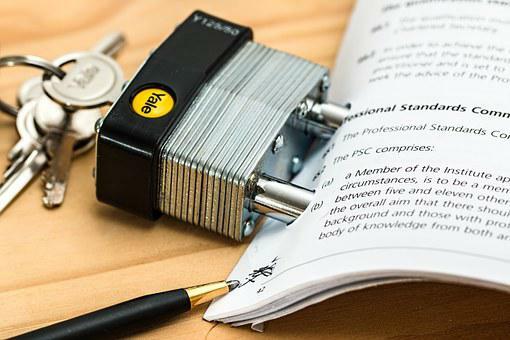 Finally, for a contract to hold there must be legally acceptable terms the element of legally accepted terms means that all terms in the contract must be legally tenable in court. If a company enters into a contract to perform an illegal business this is not legally acceptable and therefore cannot be enforced in a court of law.